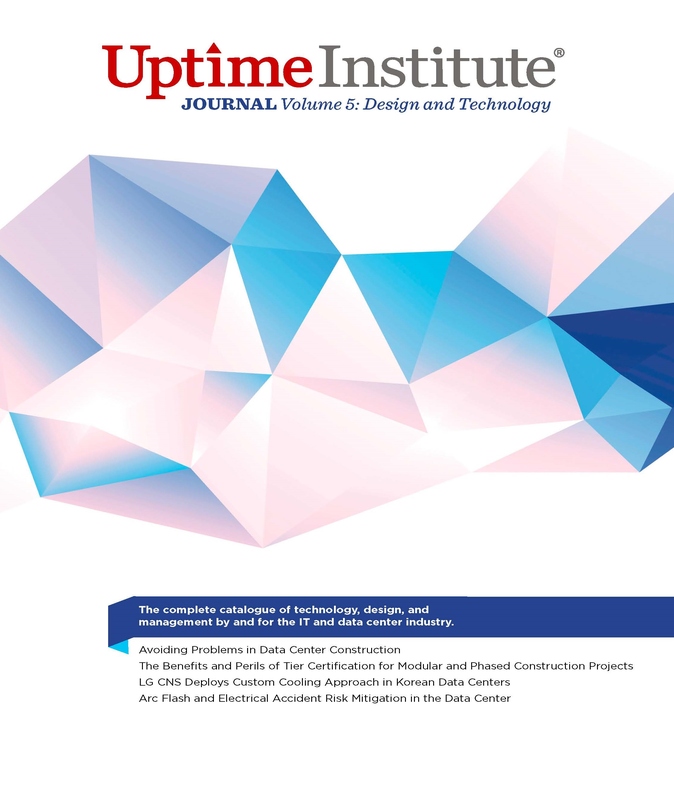 Volume 5 of The Uptime Institute Journal, focuses on data center design. Volume 5 of The Uptime Institute Journal examines the range of issues that owners of mission critical facilities need to consider when trying to realize a design. Thought leadership pieces written by Uptime Institute staff examine how modular and phased construction differ, commissioning, and managing the construction process. The authors of these articles focus on data centers that aspire to the highest level of reliability, which means Concurrently Maintainable and Fault Tolerant facilities. These thought leadership articles are supported by a series of detailed case studies taken from around the world that exemplify how Tier Certification objectives simplify and clarify owner projective requirements and ensure that the basis of design is followed. The projects profiled in these articles were chosen from the many entries to The Brill Awards for Efficient IT. The article “Avoiding Problems in Data Center Construction” should be of particular interest to readers. The examples in this article demonstrate not only how the Tier Certification process can help a data center meet its Tier objectives but also how good project management and planning reduces the stress and workload associated with demonstrating Tier compliance at the end of the project. Select from the following options to purchase your Journal. Please complete all details to ensure timely delivery of your Journal. When you click Buy Now, a PayPal window will open to complete your purchase. At that time you may continue to purchase through your PayPal account or you may purchase directly with a credit card by selecting "Don't have a PayPal account." We invite Uptime Institute Network members, Accredited Tier Training alumni, and Tier Certification awardees to request a copy of Volume 5 for a shipping & handling charge. If you need multiple copies please contact your local representative. Please select Domestic (US$15) or International (US$50). If you are not yet a Network member, ATD, ATS, or Tier Certified, please request your copy of Volume 3 by selecting Domestic (US$215 each) or International (US$250 each). You may purchase up to 10 copies. Please allow 6 weeks for processing and delivery of your Volume 3 book. The Uptime Institute Journal represents Uptime Institute’s ongoing commitment to support knowledge sharing in the data center community. Uptime Institute conceived The Uptime Institute Journal in 2013 as a way to promote thought leadership, innovation, and proven methodologies of various disciplines and professions within the data center industry. Its mission is to showcase world-class projects, recognize individual- or team-level accomplishments, and further the industry at large. This publication is committed to senior-level, peer-to-peer knowledge transfer — expertise provided by the individuals responsible for development, execution, or oversight of major data center initiatives. Editors of The Uptime Institute Journal solicit articles from around the world, focusing their attention on facilities, techniques, and ideas that have been validated by Uptime Institute standards, findings, and experience or by extraordinary success in real-world applications. The editors value contributions from authors with hands-on experience. To date, contributors to The Uptime Institute Journal have included Accredited Tier Designers (ATDs), Accredited Tier Specialists (ATSs), Network Members from all four regions (North America, EMEA, Latin America, Asia-Pacific), and Tier Certification awardees, as well as Uptime Institute’s technical staff, with field experience in dozens of countries. Collectively, these contributors have described facilities located around the globe, including the U.S., Middle East, Russia, South Africa, Australia, China, and Latin America. Future issues will include articles submitted in response to a wide call for submissions, drawn from the Brill Awards for Efficient IT, Uptime Institute Network presentations, and Uptime Institute Tier Certifications, all complemented by articles developed directly by Uptime Institute’s own subject-matter experts. The editors of The Uptime Institute Journal actively seek articles describing best practices, examining new technologies, or exhibiting thought leadership from industry professionals. Contact Kevin Heslin at kheslin@uptimeinstitute.com to contribute an article or a topic proposal.We look forward to hearing from you, and welcome any suggestions or comments. We look forward to hearing from you, and welcome any suggestions or comments.